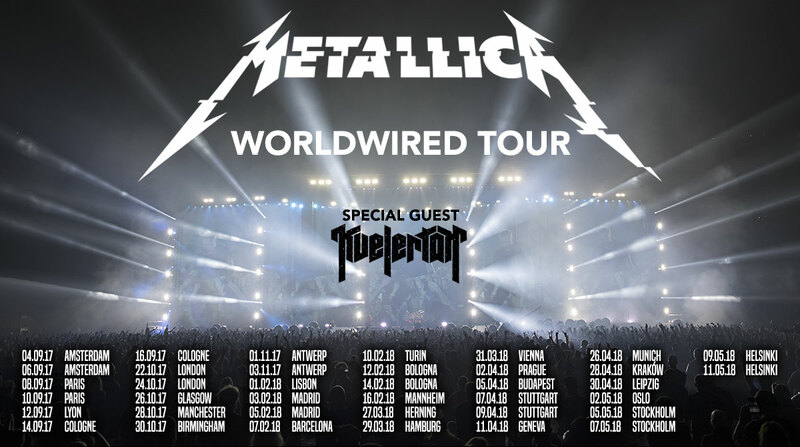 Tickets and Enhanced Experiences for the WorldWired European shows will be available to Fifth Members first starting on Tuesday, March 21st. You will need a ticket presale code to purchase tickets. Please visit your profile at metallica.com/me to get your code. To access the presale, click the "Fan Club Tickets" button that will be displayed on both the Presales page and Tour page. Legacy Members of the Club will be able to purchase presale tickets beginning at 10 AM CET with the presale open to all members beginning at 11 AM that same day. The presale will end on Wednesday, March 22nd at 10 AM or sooner if our allocation of tickets is sold out. If tickets sell out during the 10 AM Legacy Members presale, please try again at 11 AM. There will be a two-ticket limit per person per show. As a reminder, you are a Legacy Member if you paid for a membership for at least two years between 1993 and 2015 or had an active membership on August 24, 2015 when we stopped accepting paid memberships. To confirm whether or not you are a Legacy Member, click here to visit your profile. All Legacy Members have badge displayed to the right of their name.